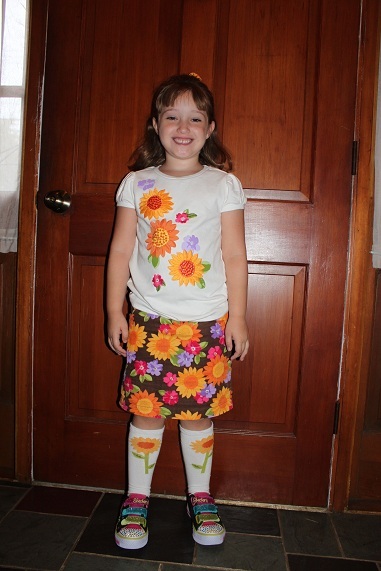 How is it possible that Hailey started first grade today? I just can’t wrap my brain around the fact that she is growing up so fast. 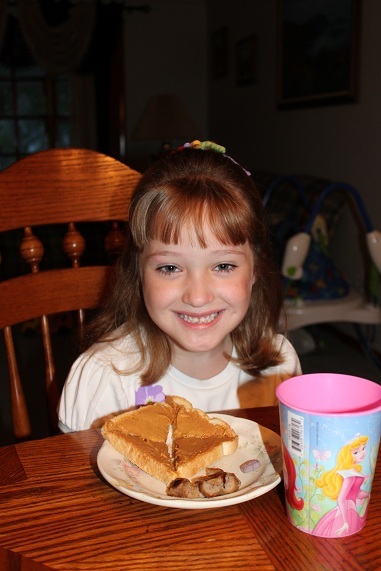 Hailey eating her breakfast before school today- she had peanut butter toast, sausage, and some milk to drink. All ready for school and showing off her new outfit. 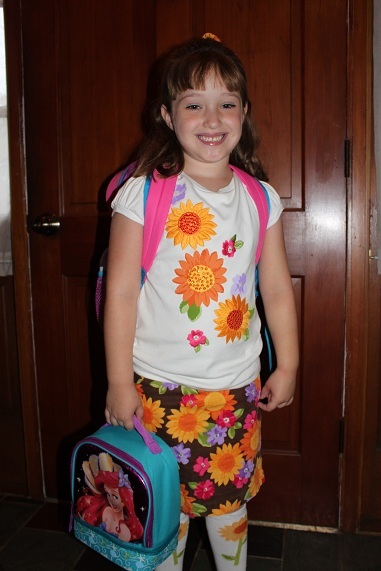 All ready to go to first grade. Sitting in her chair in her new classroom. Rich and I took Hailey to school for her first day (Hunter came along too, of course). She was worried and not sure she really wanted to go to first grade. 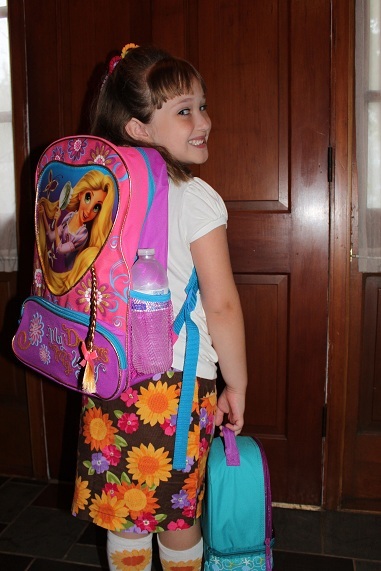 She thought she was better prepared to go back to kindergarten again. She didn’t think it would be possible for her new teacher to be as nice as her teacher from last year. 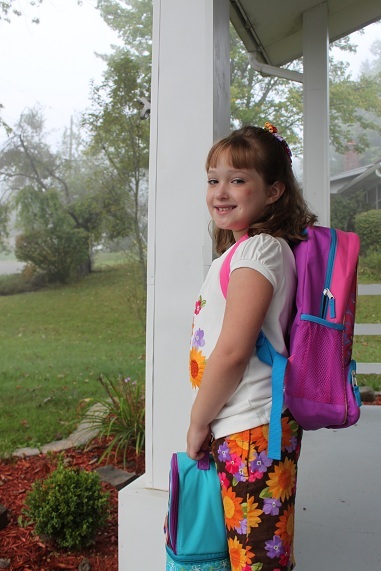 I reassured her that she was indeed ready for first grade and that she would find kindergarten boring this year since she already knows all of that information. And I told her we should give her new teacher a chance to see what she thought of her. This morning Hailey told me she was feeling excited and shy about going to first grade. When I picked her up from school she told me she had a great day and that she really likes her teacher. It turns out that her new teacher is indeed very nice. Hailey said her favorite thing she did today was coloring. She also enjoyed the stories that they read. 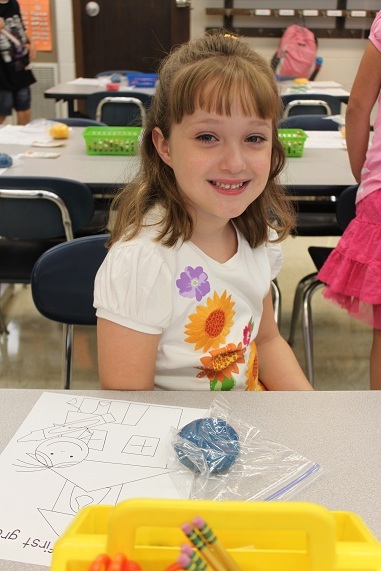 She is glad that some of her friends from last year are in her class this year. I know she’s going to have a great year and I can’t wait to see what she accomplishes this year! © 2007-2008, 2009 Livin' With Me! | The images on this site are copyrighted by myelf or their respective owners.